​And still more on The Book of Boy! Five great websites, five great articles penned by moi. Chat With Vera. 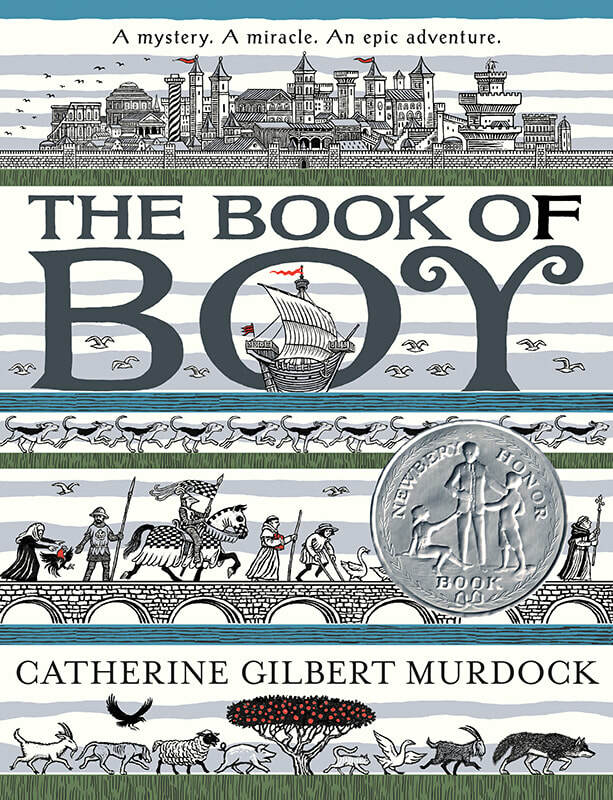 "Getting Real: Fact versus Fiction versus Fantasy in The Book of Boy." Christy's Cozy Corners. "The Relics of Me." ​Beach Bound Books. "Fun Facts on the Middle Ages." ​Java John Z's. "The Best of the Best from Way Back When." ​Book Hounds. "Animal Personae in The Book of Boy." These are the books that shaped my understanding of the Middle Ages — that filled me with passion so that I wanted to learn more, and eventually to write more! Please, teachers, don’t be afraid that fiction (made-up stories) ruins history (cold hard facts). Fiction starts the love affair. Avi. Crispin: The Cross of Lead. Hyperion, 2002. Avi does a marvelous job describing Christianity in every medieval life — he shows how ubiquitous it was, and how different from today. Karen Cushman. Catherine, Called Birdy. Clarion Books, 1994. Wonderful narrator, wonderful story — but I most appreciate that Birdy uses naughty words. This gave me permission to use them in The Book of Boy! Karen Cushman. The Midwife’s Apprentice. Clarion Books, 1995. The main character isn’t spunky, she’s real. A wonderful portrait medieval village life. ​Elizabeth Janet Gray. Adam of the Road. Various editions. I read this book a million years ago when I was a kid, and just loved it. So many views of the medieval world as Adam travels! Norah Robinson Lofts. The Maude Reed Tale. 1974. Various publishers and covers. This book meant the world to me when I was a kid — it taught me most of what I know about life in the late Middle Ages. Tragically, it’s out of print. But find it, please. David Macaulay. Castle. 1977. If you’re the kind of reader who likes to crawl into book illustrations and live there . . .
David Macaulay. Cathedral. 1973. Ditto. T.H. White. The Sword in the Stone. 1938. Everyday life in a small castle and village, with the boy who would become King Arthur. Some of the books and articles I used to research The Book of Boy. * Bartlett, Robert, editor. The Medieval World Complete. London: Thames and Hudson, 2001. Bell, Adrian, R., and Richard S. Dale. “The Medieval Pilgrimage Business.” Enterprise and Society 12 3 (September 2011): 601-627. * Black, J. Anderson, and Madge Garland. A History of Fashion. New York: William Morrow, 1975. Birch, Debra. Pilgrimage to Rome in the Middle Ages: Continuity and Change. Woodbridge, UK: Boydell Press, 1998. Camerlenghi, Nicola Maria. “The Life of the Basilica of San Paolo fuori le Mura in Rome: Architectural Renovations from the Ninths to the Nineteenth Centuries.” Princeton University dissertation, 2007. Freeman, Charles. Holy Bones, Holy Dust: How Relics Shaped the History of Medieval Europe. New Haven: Yale University Press, 2011. Galli, Paolo Antonio Costantino, and Joé Alfredo Naso. “Unmasking the 1349 Earthquake Source (Southern Italy): Paleoseismological and Archaeoseismological Indications from the Aquae Iuliae Fault.” Journal of Structural Geology 31 (2009): 128-149. Geary, Patrick. Furta Sacra: Thefts of Relics in the Middle Ages. Princeton: Princeton University Press, 1978. Hetherington, Paul. Medieval Rome: A Portrait of the City and its Life. New York: St. Martin’s Press, 1994. Lucentini, Mauro. The Rome Guide: Step by Step Through History’s Greatest City. Northampton, Massachusetts: Interlink, 2012. Houston, Keith. The Book: A Cover-to-Cover Exploration of the Most Powerful Object of Our Time. New York: Norton, 2016. The Marvels of Rome (Mirabilia Urbis Romae). Edited and Translated by Francis Morgan Nichols. New York: Italica Press, 1986. Mullins, Edwin. The Popes of Avignon: A Century in Exile. Katonah, New York: Blue Bridge, 2007. * Newman, Paul. Travel and Trade in the Middle Ages. Jefferson, North Carolina: McFarland, 2011. Origo, Iris. The Merchant of Prato. New York: Knopf, 1957. Rowling, Marjorie. Everyday Life of Medieval Travellers. New York: Dorset, 1971. * Singman, Jeffrey L. Daily Life in Medieval Europe. Westport, Connecticut: Greenwood, 1999. Sumption, Jonathan. The Age of Pilgrimage: The Medieval Journey to God. 1975. Mahway, New Jersey: Hidden Spring, 2003. Tuchman, Barbara. A Distant Mirror: The Calamitous Fourteenth Century. New York: Ballantine Books, 1978. * might work for kids.